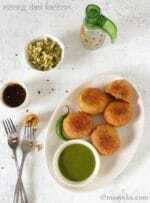 Kachoris by definition are stuffed puris / pooris. 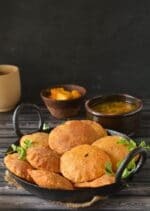 While their texture may vary from state to state (Bengalis prefer softer kachoris, vs Rajasthanis who usually prefer more crispy kachoris), they are a most favoured snack across Uttar Pradesh, Madhya Pradesh, Rajasthan, Gujarat, and Bengal. States to the North of Delhi usually prefer Samosas – which are largely similar in concept. 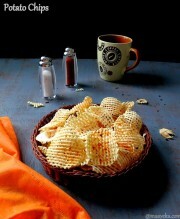 I am from UP, but was brought up on the crisp khasta version of kachoris because I was brought up in Mathura. 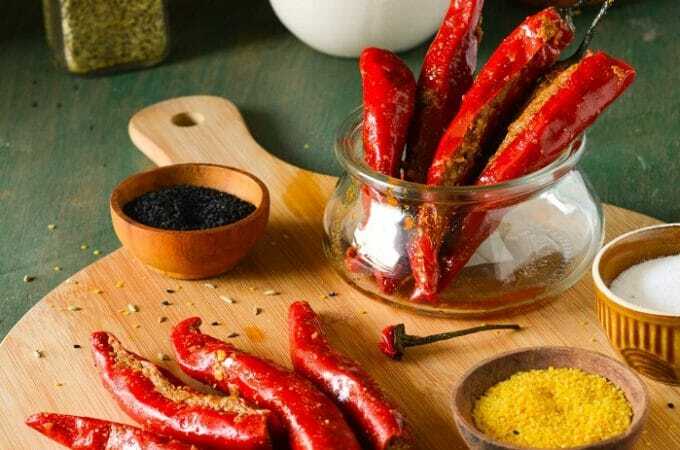 I guess that’s because it is one of India’s largest pilgrimage destinations, and hence the cuisine in Mathura has evolved to cater to visitors from all corners of India – and with a large number of visitors coming in from Gujarat and Bengal. 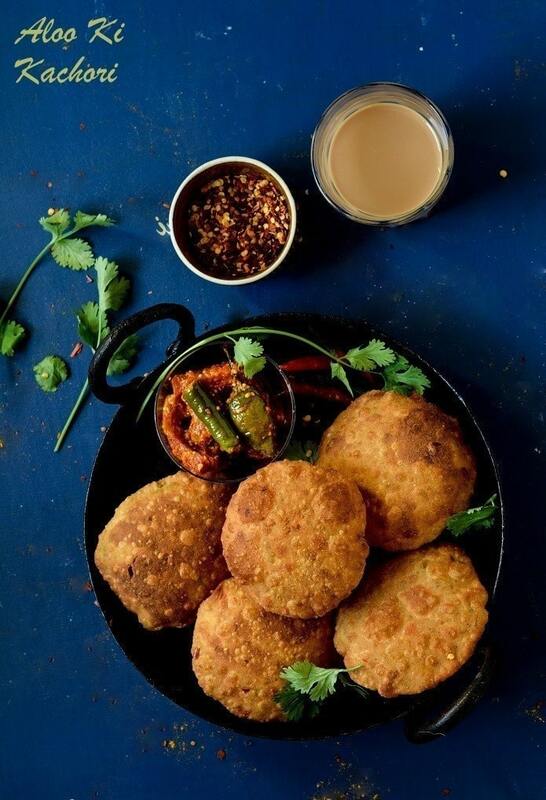 There are several varieties of kachoris made commonly, and are often sold at the roadside stalls or halwai shops as a breakfast or evening snack. 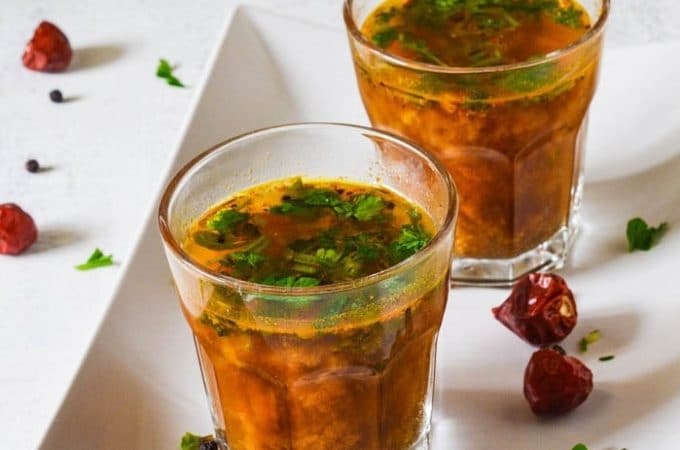 Oma Pehelwan (in Mathura, Uttar Pradesh) and Netram Halwai (in Allahabad, Uttar Pradesh) are two iconic kachoriwaalas that you should try if you’re ever in these cities. That said, my mother makes the best kachoris of all. 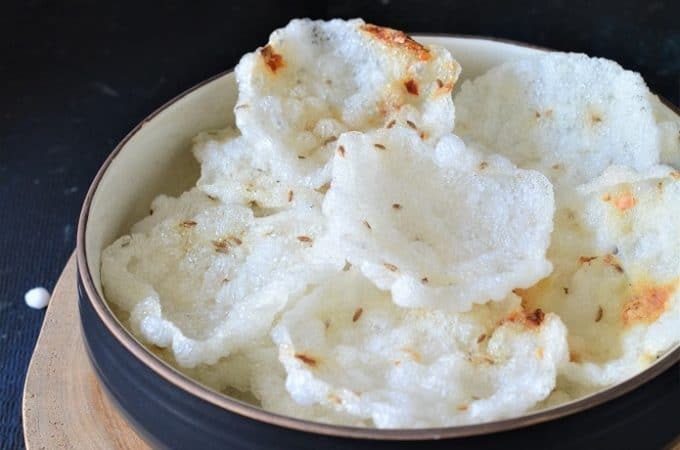 The recipe I am sharing today is my mom’s specialty – and is a mid way version between the soft (poori) and hard (khasta) varieties. 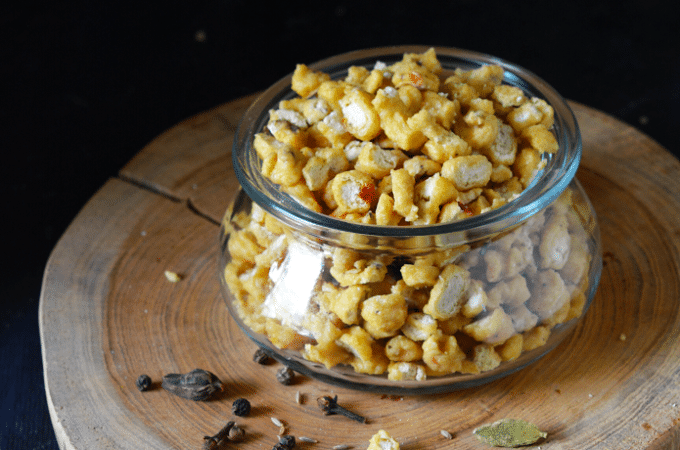 I also make Urad daal kachori, Moong daal kachori, Corn kachori often. 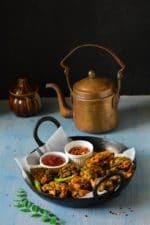 What makes a kachori a true delight are the accompaniments – best served with Aloo tamatar ki sabzi, chutney and pickles. 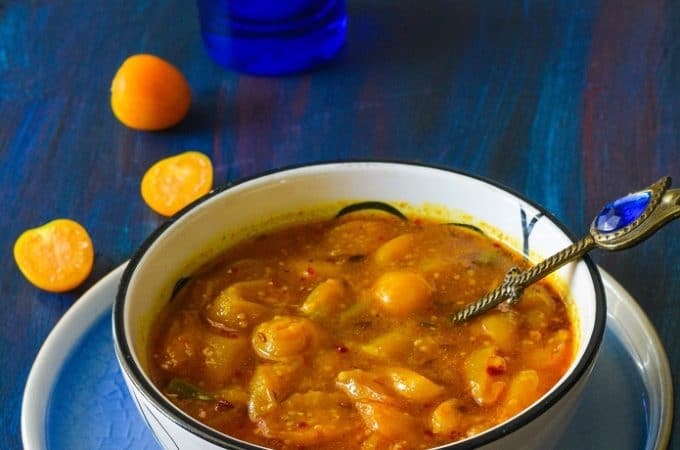 Several vendors in Uttar Pradesh serve it with Kashiphal Ki Subzi (Sweet and Sour Pumpkin Curry) and I guess it’s largely due to the cheap availability of pumpkins in UP thanks to the Ganges river running through most part of it (pumpkins grow particularly well near river banks). 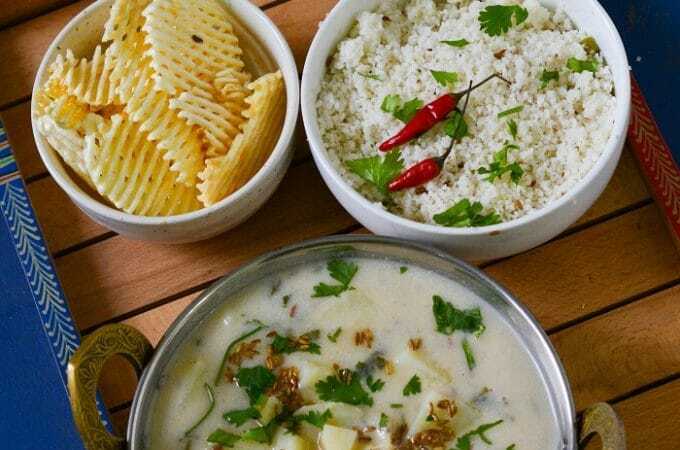 Rajasthan usually serves Kachori with kadhi and Raita, which is a little unusual in other states. 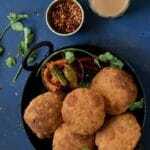 This Aloo kachori recipe is quite simple and easy to follow. There are few things which you should be careful about.1- the dough of kachori should be soft and smooth so you can easily stuff and roll it. 2- rub the oil in the flour properly before adding water. 3- grate the potato and there should not be any lumps or big chunks of potatoes in the stuffing else the stuffing might come out while rolling. 4- fry on medium to low heat. 5- I have used wheat flour but you can substitute it with refined flour/ maida if you wish. In a bowl add wheat flour,salt and oil and rub it well. Now add water and make a soft dough and cover and keep aside. Boil ,peel and grate the potatoes and add all the ingredients listed under for the potato stuffing and mix it well. Knead the dough again and make equal size of balls from the dough. Make eqaul size of balls from the potato mixture. Take a dough ball ,roll it a bit and then stuff with the potato ball and cover it with the dough with all the sides to make a neat stuffed ball. Now dust it with some flour and roll it slightly to make like a thick poori. Stuff and roll all the kachoris and keep aside, keep them seperatey and in single layer else they may stick with each other. Heat oil in a wide deep pan till it become medium hot. 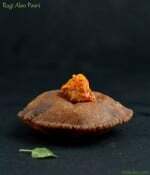 Now lower the temperature slightly and slide the rolled kachori in it and after few seconds press it gently with the spatula to help it puffing. When the kachori puffed up then after few seconds turn the side and cook from other side ,flip it again and cook from both the sides till it become golden and crisp. Drain on a paper napkin to remove the excess oil from the fried kachori. Add salt in the potato stuffing just before making ,else it may become soft. Grate or mash the potato nicely,there should not be any lumps in it. Can fry 2-3 kachoris in a pan but don't over crowd the pan. Fry on medium to low temperature but not on high heat. 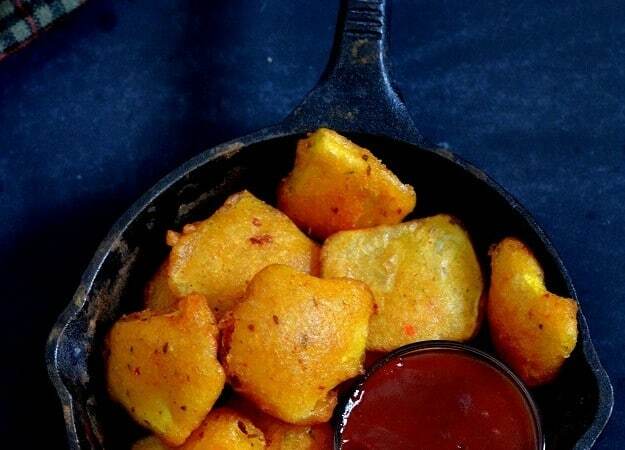 Turn the kachori 2-3 times while frying so it will get even colour and cook properly. 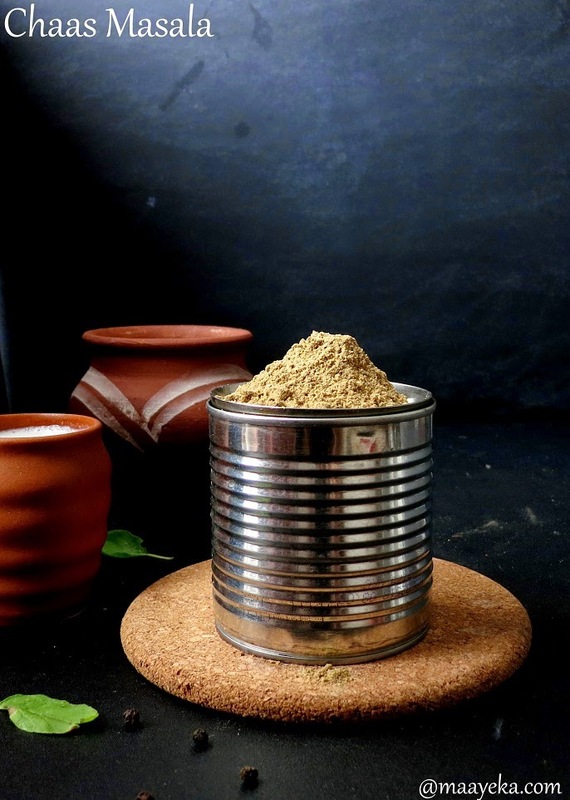 you can also cuse refined flour/ maida instead of wheat flour.